Black Friday and Cyber Monday are just around the corner, and so are our huge annual sales! 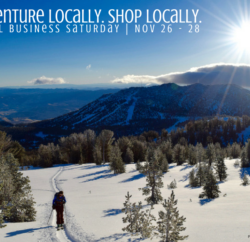 Get up to 30 percent off your favorite Patagonia clothes, like Patagonia Down Sweaters or R1 Pullovers, the brand’s Gore-tex jackets, and Patagonia ski pants and ride pants. These great prices will run all weekend long, starting on Black Friday and continuing through Cyber Monday. And that’s not all! We’re taking 20–70 percent off our entire inventory* for the whole four-day weekend, so now is the time to stock up for the season. Holiday shopping on big ticket items like warm winter jackets and pants, boots and avalanche safety gear, stocking stuffers like warm down booties and socks. We have a gift for everyone on your list! Plus all the outdoor clothes and accessories you’ll need to stay warm and comfortable through winter. We’re also giving away a free gift with all purchases over $50! Get the popular Patagonia Down Sweater and Gore-Tex Jackets and pants at great prices, just for Black Friday/Cyber Monday weekend. If you’re in the greater Tahoe area and you can make it to our store in Kings Beach, you can take advantage of 20-70% off everything* Friday-Monday only. 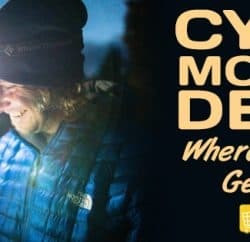 We have the best Patagonia Black Friday and Patagonia Cyber Monday sales around, so don’t miss out. Now is the time to shop for the holidays! Get the Best Black Friday Weekend Deals!